Björn Frantzén is one of Scandinavia’s best chefs, redefining Nordic cuisine while seamlessly blending in traditional components, from ingredients to techniques, and ensuring that Sweden retains its progressive place on the global fine dining map. Frantzén began his career as a professional footballer playing for AIK in Stockholm before he enrolled in culinary school. His first job as a chef was working for the Swedish Army. Fortified with both cooking skills and iron-willed discipline, he scored positions in the kitchens of several Michelin-starred restaurants in London and Paris and spent time in Japan appreciating the fierce Japanese dedication to ingredients and their mindful approach to eating. He opened his first restaurant, then dubbed Frantzén/Lindeberg, in 2008. His first Michelin star came just one year later, with a second the following year, where it remained until February of this year. Now simplified to Frantzén, the eatery has become the first Swedish restaurant to achieve the ultimate three Michelin stars. Björn Frantzén is oft paralleled with distinguished Danish chef René Redzepi of Noma in Copenhagen, a four-time holder of The World’s Best Restaurant title, along with its two Michelin stars. Noma closed for refurbishment for just over a year in a corresponding time frame to Frantzén moving to a new location – both seen as a risky move for thriving, fully-booked restaurants. 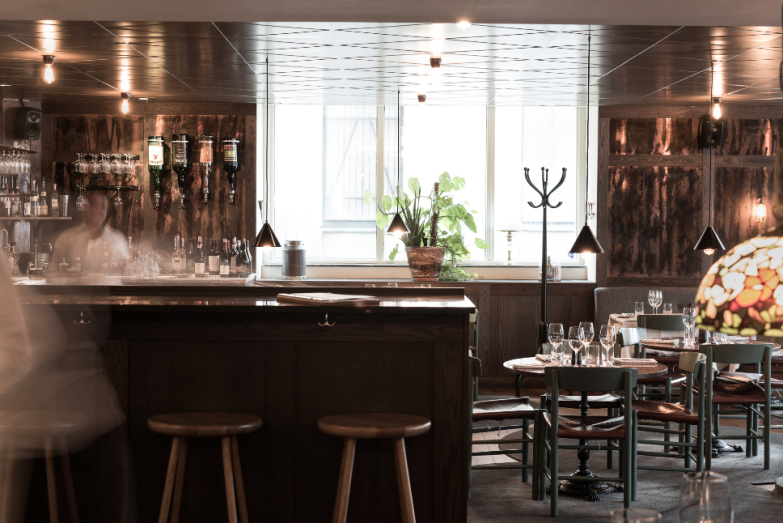 Clearly the risk paid off for Frantzén, who gained both a star and new three-storey premises in a 19th-century building – which, despite being much larger, still houses only 23 seats – that is designed like a home, with a dining journey constructed to match. Michelin’s embracement of this immersive, more relaxed dining experience highlights the desire for some disruption to the preconceived notions of fine dining. 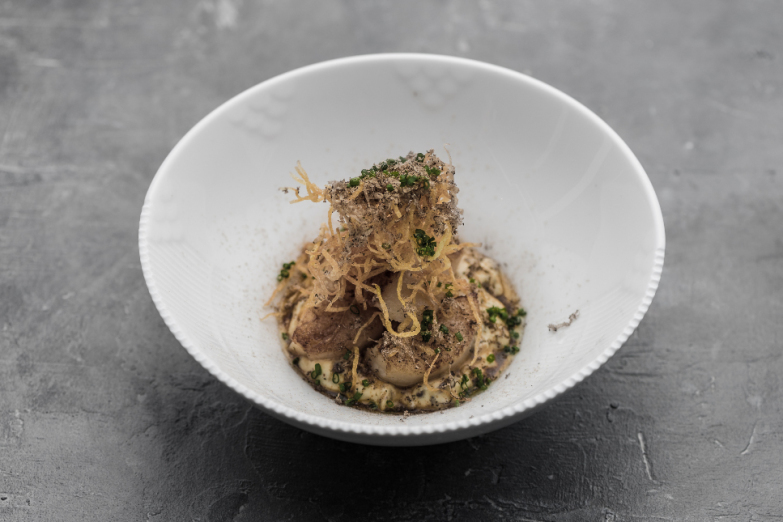 The chef chose Hong Kong for his first international restaurant, opening Frantzén’s Kitchen in November 2016 – a small, fine dining establishment set in the natty Tai Ping Shan area of Sheung Wan. Booked up for months in advance since opening – and winner of our own Best New Restaurant award at last year’s Foodie Forks – the restaurant is helmed on a daily basis by Frantzén Stockholm veteran Jim Löfdahl and offers a sophisticated, impeccably chic and transcendent dining experience that adheres naturally with the Swedish philosophy of lagom (not too little, not too much). The open and interactive kitchen is serene and slow-footed yet constant, with guests observing the laborious and evenly executed finishing touches made to each dish, which are laced with Nordic ingredients like sea buckthorn and liquorice. When the food arrives, it’s bewitching. Each dish ranges from delicate and ethereal, to wildly complex, to gloriously rich, all with a harmoniously balanced gradation. It’s a thrilling eating experience. But it comes at a price, and it’s a steep one, especially as it’s a more casual environment than a typical fine dining restaurant. 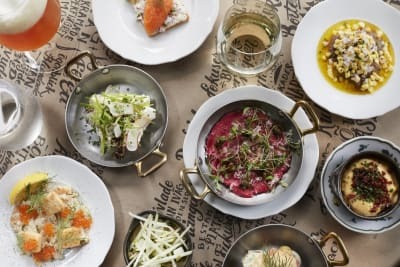 This is where The Flying Elk swoops into Hong Kong – Frantzén’s Swedish gastropub serving up elevated and elegantly crafted pub food at pub prices. Opening next month, on 16 June, in the space previously occupied by Fish & Meat, the design will mimic a Nordic log cabin. The kitchen will also be presided over by the talented Löfdahl, who will employ open-fire cooking methods, a strong part of Sweden’s heritage. 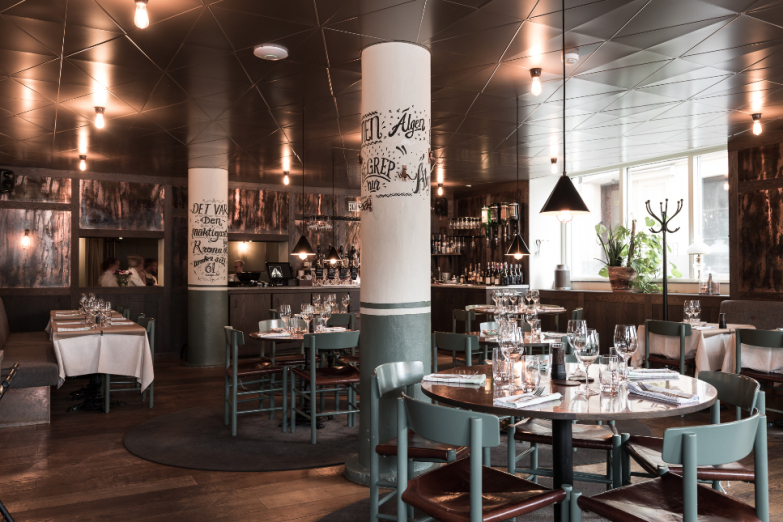 As a tried-and-tested concept that works well in his native Stockholm, this eatery seems a strong second step into the international market, hopefully offering the mid-range success that has eluded other top chefs in this city. 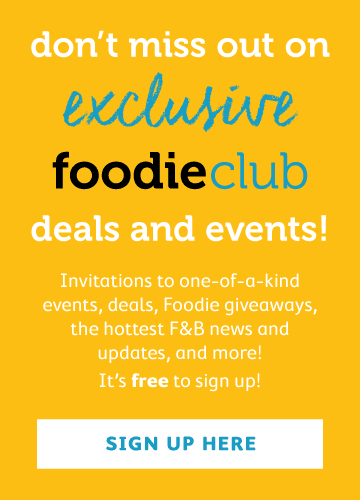 Do you feel people are only just beginning to discover Scandinavian cuisine? What has happened over the past 10 years is amazing. People are coming from all over the globe to eat, and with the success of restaurants here, the interest is growing with Michelin and The World’s 50 Best; it’s all booming. What was it like to receive your third Michelin star this year? It was a really different year; the restaurant had been closed for a year and a half and was only open for four months, and of course it was very special. I’m happy and proud of what we’ve achieved – we’ve been delivering since day one. Do the stars create added pressure? We have high expectations within the team in everything we do. Doesn’t matter if we have one, two or three, the pressure is always there. For us, it’s the same every year – the next day you talk about it and then it’s back to life as usual. We don’t run our restaurants for guides; we run them because we love what we do. 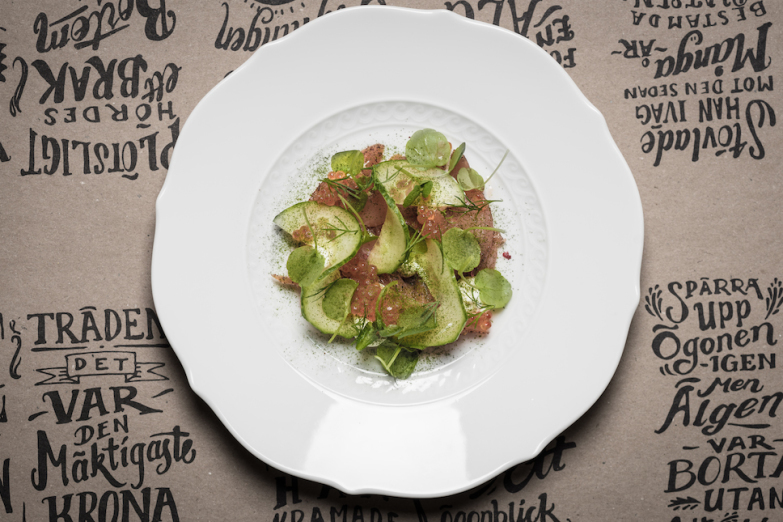 What’s the experience of eating at Frantzén in Sweden? I would call it relaxed luxury. It’s not stiff. We have AC/DC and Guns N’ Roses playing. It’s a feeling of coming home to someone, rather than a restaurant. Food-wise, it’s a lot of Nordic ingredients, but my background is in French and then with Japan too in the cooking. Do you feel competitive towards René Redzepi, given you are two of the most famed Nordic chefs in the world? No, I mean it’s still a small region; all the chefs know each other very well. We share a lot of guests. They might start at Frantzén, then fly to Copenhagen. So it’s great for everyone. The renovation of Noma happened at the same time as Frantzén. Was this a conscious decision? I don’t know how long Noma planned for, but this process [for us] started many years ago. You’ve got to find a location and the economics and the investment; it’s just a coincidence. They’ve been up and running for 12 years, and we were nine years. We wanted to grow and go deeper. Moving to a bigger space can be risky. Did you feel nervous about it? Of course – we closed down a fully-booked restaurant and had to start all over again. A bold and big move, and one you do only once in your life. I was nervous but very excited. Why did you stay with serving 23 diners? That’s a number we’re comfortable cooking at, and we still wanted to take with us some of the good stuff we had at the old place. How does the Japanese influence fit in so well with your own personal cooking style? I like the lightness of it and the respect for ingredients and seasons. The way a kaiseki menu builds up; it’s very clever. And the experience and study and science that goes into a kaiseki menu. We also have a very similar climate. Has your previous life as a footballer given you any skills that have transferred into your life as a chef? It’s the thing of not giving up and of being able to deliver under pressure with high expectations, so that’s great to have with you when you open a restaurant. I realise it’s a lot of my guys in the restaurant, whether it is ice hockey or badminton, but it’s attracting that sort of people. What do you do when you’re not cooking? If I’m not working, I’m spending time with the family. Would you be happy if one of your daughters embarked on a career as a chef? I told them they are more than welcome. I would leave it 100% up to them. No pressure. 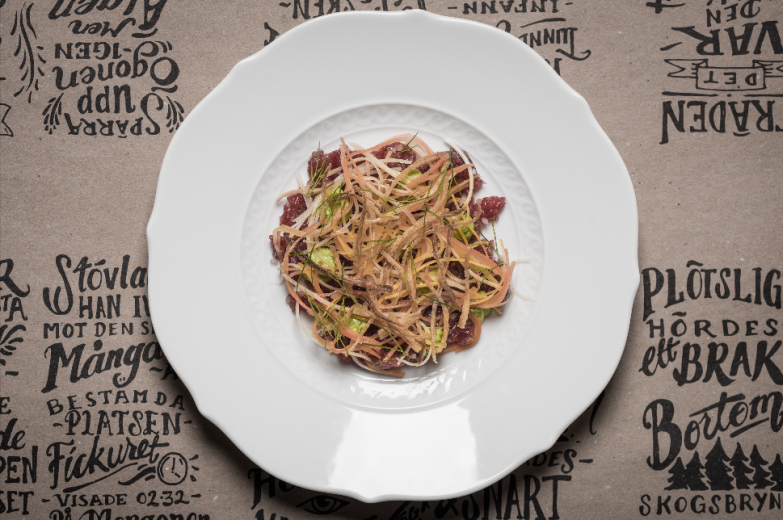 You told us two years ago when you opened here,“Opening Frantzén’s Kitchen in Hong Kong is a natural step for us. I have long dreamed of opening a restaurant overseas and Asian cuisine is very close to my heart. 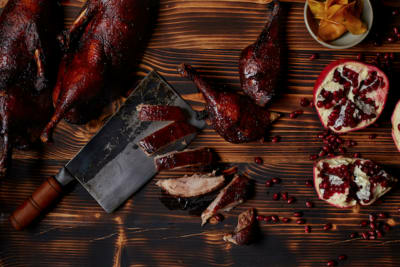 Hong Kong is one of the world’s most interesting cities for food, and it will be a challenge to create a Nordic food experience with local ingredients and influences there.” How’s it all going now? It was our first overseas operation, so we wanted to start small. It’s a different challenge. We are fully booked every night, so we’re happy. There will be things bumping up you hadn’t expected and you live and learn and make it right. How will The Flying Elk in Hong Kong differ from your Swedish version? Here we’ll do more medium-sized dishes, with more sharing plates. Will you open in more cities?